At a young age, I was taught to give back profusely, whether it is volunteering my time or donating financially. By giving, I am bettering others and not just myself. I am a firm believer in that we can always find opportunities to give. The bottom line to remember is that it is the action that is important and not the amount. I’ve heard the quote “If you can’t feed a hundred people, then feed just one” from Mother Teresa and I try to follow it as best as I can. While growing up, my family found ourselves on the receiving end of charity at times. This is another reason as to why giving is so important to me. I grew up in a single family home and my mother did what she could to earn a salary while working at our local church. My family lacked resources, but the church took our family in immediately and offered help in every way. I will always remember the events leading up to my sister’s wedding. Our family was having trouble coming up with the funds for the wedding. The congregation heard and came together to ensure the wedding happened. They donated food for a small reception and even helped my sister purchase a wedding dress. I will never forget the love and support the church showed during this time and I will always be grateful for their generosity. The feeling of trying to emulate what they had done has resonated with me ever since. My journey to CCC has been a long one, as was not the first church that I had found. For a period, I dealt with spiritual leaders who portrayed God as someone who loved only a part of me. Their view was that I had to change who I was to be fully accepted. I felt lost for a bit, as the sense of finding a church family seemed to come with a sacrifice. I then came upon CCC and from the moment I walked up the steps and into the first service, I was met with a warm and comforting embrace. I immediately felt at home and knew that I could be myself. My path to CCC was bumpy, but I never lost sight of the desire to help others and to spread a feeling of comfort to those in need. I choose to give to the church because I believe the church shares my views in that God’s generous love has no fine print or caveats. He loves us just the way we are. By showing love and kindness to others, we are doing what he asks of us. 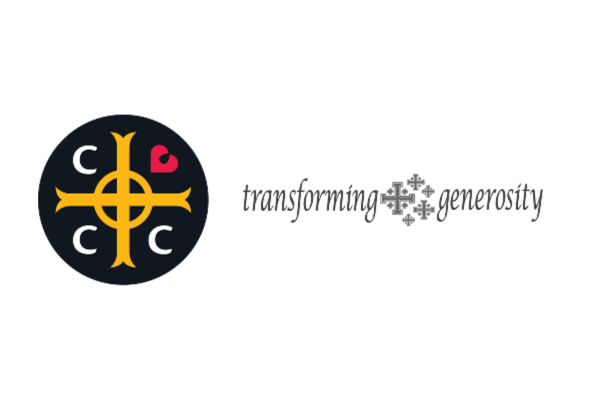 Through the Covenant Grants Committee, I have witnessed meaningful organizations like the Sharing Place and Julian Center flourish with our help. I am proud what this church does to help people in need and I will continue to help fuel their impact on the community. “Life is a gift, and it offers us the privilege, opportunity, and responsibility to give something back by becoming more.” – Anthony Robbins.